The Ball State University Libraries’ Digital Media Repository (DMR) provides online access to a range of digitized primary source materials, including maps and other cartographic resources, films and video, oral histories, photographs, and publications. The GIS Research and Map Collection (GRMC) has created lesson plans for teachers to incorporate these digital collections into the study of history. Sanborn Fire Insurance maps are detailed maps identifying the commercial, industrial, and residential sections of cities. The maps were created for most cities around the country following the Civil War. The Sanborn Company created more maps at intervals as the city grew, so these maps provide an excellent glimpse into the development and changes of a city over time. The Muncie Sanborn Fire Insurance Maps in the DMR depict the city from 1883 to 1911. An online tutorial is available that will explain the symbols, colors, and other markings on the maps. Teachers may find these maps to be an interesting tool for studying local history. A guide to using these maps as part of a history lesson is available from the GRMC in Cardinal Scholar. Students can be assigned one or more city blocks and note the changes over time. 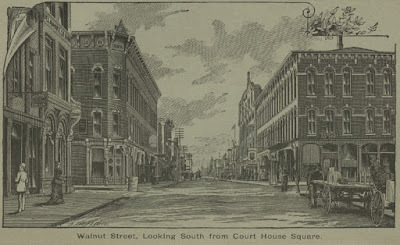 For example, at the turn of the twentieth century Muncie was a thriving city with opera houses, huge skating rinks, and a new Courthouse. And in the times before huge discount department stores, numerous shops selling specific products covered the map of downtown Muncie. And students can note how horse-related businesses transformed to gas stations, tire stores, and, most noticeably, parking lots. Another unique collection available from the DMR is the Thomas Ryan Diaries. 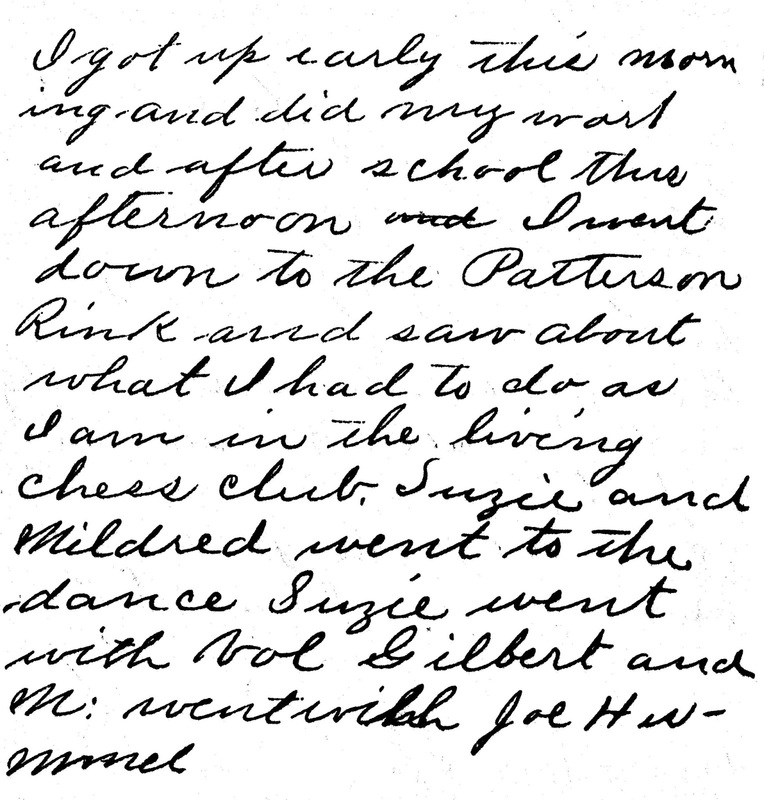 This collection includes four diaries written from 1886 to 1890 by Thomas Ryan, a Muncie teenager. Ryan wrote in his diaries every day. 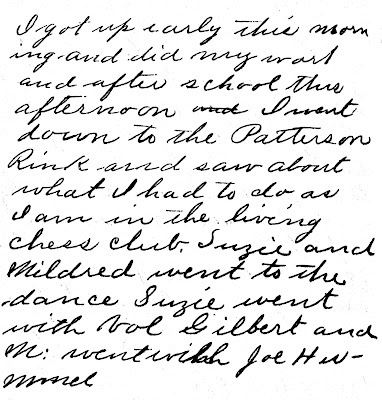 He recorded the weather, events at school and around town, activities with friends, and chores and playtime (see excerpt above, click to enlarge). The GRMC has created a new guide for teachers to use the diaries as part of a history lesson: Students can read about how Thomas was punished in school, games and toys he played, books he read, and even how much he paid for candy. Teachers could incorporate multiple related collections to teach history. 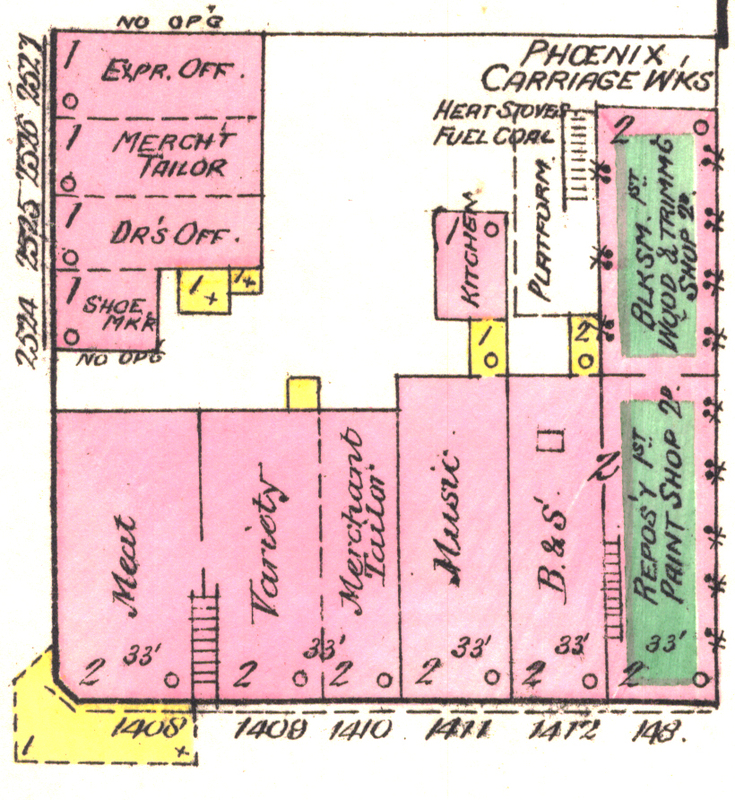 Sanborn Fire Insurance Maps could show the shops and schools during the time of Thomas Ryan. Muncie city directories in the DMR include addresses, photographs, advertisements, and occupations of residents. Souvenir booklets that include drawings and information about some of the buildings are also available in the DMR. For more information about the Digital Media Repository, please contact the Archives and Special Collections at 765-285-5078. For information about using the lesson plan guides or cartographic resources, please contact the GRMC at 765-285-1097.